Jeeps come packaged with a lot of history. The original Jeep was built in 1941 for the US army as an all-terrain reconnaissance vehicle. In 1945, the first civilian Jeep entered the market, but the brand didn’t gain a foothold in the UK until the 1990s with the development of the right-hand drive Cherokee. A must-have for the urban school run until fuel prices became prohibitive, the boxy styling of the Cherokee now looks like something from a different age. When it was first imported to the UK in 1993, the iconic 5-door four-wheel-drive estate was offered with a 4.0 litre 6-cylinder engine and automatic transmission. This was rapidly followed by a Sport variant with a manual gearbox. Three turbo diesel models were produced from 1995, each of which had a 2.5 litre engine and manual transmission. A second-generation Cherokee arrived on the market in 1997 with a different interior and face-lifted front and rear. Called the Jeep Liberty in the USA, third- and fourth- generation Cherokees were introduced to the UK in 2001 and 2008 respectively. Major quibbles with the Cherokee are the cramped accommodation for rear passengers and the surprisingly small luggage space. Jeep drivers dreaming of more space were excited by the Grand Cherokee after its UK debut in 1995. This luxury 4×4 was specifically built to transport four people and boasted a high-specification interior. Though bigger than its little brother, the Grand Cherokee is no slouch. With a 4.0 litre engine under the bonnet, 0-60 mph takes under 10 seconds on the way to a top speed of 112 mph. For those who want even more power, the second generation – introduced in 1999 – offers a 4.7 litre v8 engine. Unsurprisingly, fuel economy suffers, with a return of well under 20 mpg. As your Jeep gets older, it will need more and more replacement parts, which must be imported from the US. The ageing Jeep is therefore a pricey prospect. More serious, though, is the questionable safety of Jeeps with fuel tanks mounted behind the rear axle. 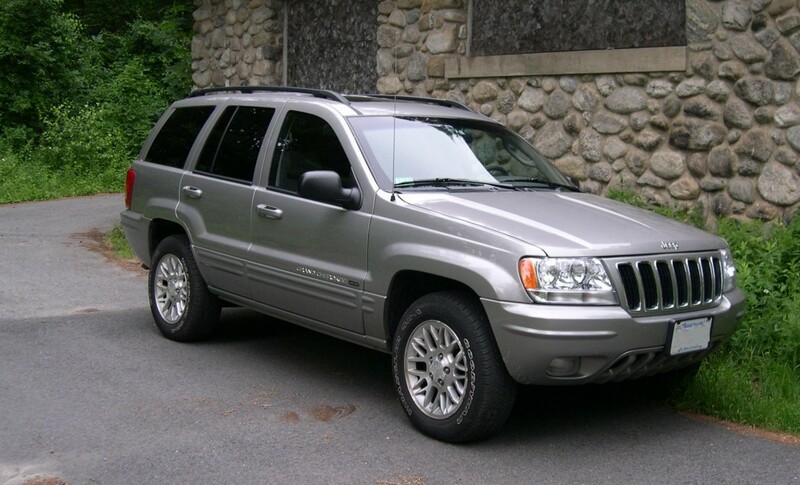 A feature of the Grand Cherokees manufactured between 1993 and 2004 and the Liberty (aka Cherokee) between 2002 and 2007, the rear-mounted fuel tank is more likely to rupture in a crash and catch fire. You may love your ageing Jeep, but even the most besotted owner can’t deny that the object of their affections is expensive to run and repair. Worst of all, your Cherokee or Grand Cherokee could jeopardise your safety in an accident. Scrap Car Kings are the experts at recycling Jeeps. To scrap your Jeep, contact us today, or click here now for a quote.